Product prices and availability are accurate as of 2019-04-25 13:01:34 UTC and are subject to change. Any price and availability information displayed on http://www.amazon.com/ at the time of purchase will apply to the purchase of this product. 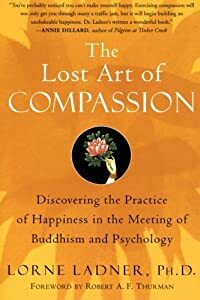 Now in paperback, this practical guide to cultivating compassion delivers Buddhist and psychological insight right where we need it most—navigating the difficulties of our daily lives. Compassion is often seen as a distant, altruistic ideal cultivated by saints, or as an unrealistic response of the naively kind-hearted. Seeing compassion in this way, we lose out on experiencing the transformative potential of one of our most neglected inner resources. Dr Lorne Ladner rescues compassion from this marginalised view, showing how its practical application in our life can be a powerful force in achieving happiness. Combining the wisdom of Tibetan Buddhism and Western psychology, Ladner presents clear, effective practices for cultivating compassion in daily living.